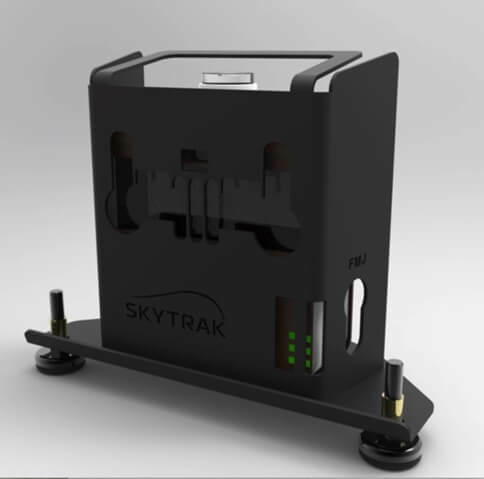 The SkyTrak Protective Metal Case is the ‘Official Metal Case Authorised for use with SkyTrak’. The smart design allows you to plug in a wall charger without removing your SkyTrak. Easily access the power button and see the LED’S through the precisely positioned openings. * SkyTrak not included. We always recommend the use of an impact bag next to the SkyTrak to deflect any direct club strikes. Do not intentionally hit the SkyTrak case or SkyTrak with balls or clubs. Damage to the SkyTrak due to club or ball strikes are not covered under warranty.